Our comprehensive, research-based curriculum guide, “Creating with KIBO,” offers 20-40 hours of curriculum for PreK - 2nd grade classrooms. 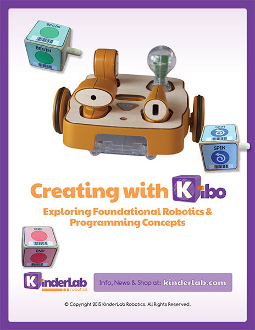 Detailed lesson plans get teachers up and running quickly to introduce coding, robotics, and engineering concepts with KIBO. An open-ended framework for a final project invites integration with other classroom projects. The curriculum is aligned with Common Core standards, the CSK12 framework and state CS standards.